Light emitting diode (LED) bulbs possess features that make them a popular replacement for the traditional halogen or filament bulbs. A defining characteristic of LED bulbs, which the GU10 LED Downlights posses is that they emit more light for each watt while consuming significantly less power and last up to 25 times longer than the traditional incandescent light bulbs. 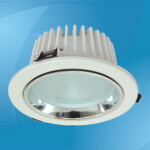 The naming of GU10 LED Downlights follows the industry’s standards for lighting systems. Generally, GU10 refers to the bulbs’ physical features. The bulb’s base has a bayonet mount, which means it has two pins (a bi-pin base). The pins are large and interlock when inserted and turned a quarter turn in the socket to remain securely in place. The 10 simply refers to the diameter of the base, which is measured in millimetres. This means the base cap of GU10 bulbs have a diameter of 10 mm. 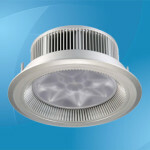 The downlights’ GU10 fitting is wired to be used on existing 240V fixtures. 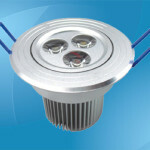 Typically, the GU10 LED bulbs produce varying colors and color temperatures. Most of the bulbs produce light in colors ranging between a warm white and a cool white light. A warm white light appears yellowish, which slightly resembles the light produced by the traditional halogen bulbs. A pure white light appears clean and white without a tint. The cool white light appears white with a slight bluish tint. This type is mostly preferred for commercial applications. A relatively new option is the natural or medium white light. When it comes to the total light output, the GU10 LED bulbs compare to a 50 watt halogen bulb, which produces a total light output of about 600 lumens, or about 12 lumens per watt. A higher the wattage on these bulbs means the total power output is also higher. It is important to note that even though LED bulbs produce less heat, operating them on temperatures above 60 degrees reduces their efficiency and shortens their life because of overheating. 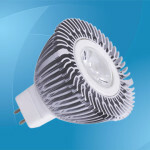 A bulb with higher light output therefore requires more cooling fins to protect it from the heat. Like other LED bulbs, GU10 downlights use up to 85% less power with the highest rated ones estimated to last up to 50,000. This means the bulbs are cheaper on the long term and can save up to 90% of the energy that the incandescent bulbs waste by producing excess heat. 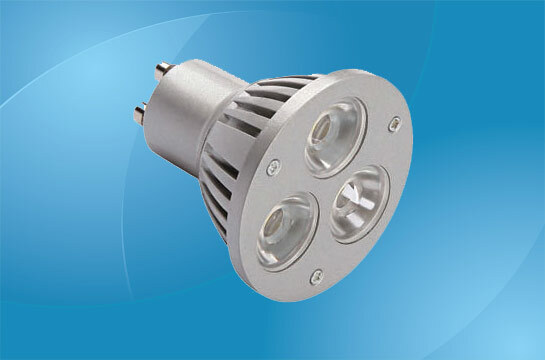 The GU10 LED bulbs are ideal for spot lighting in both commercial and residential applications. The down lights are particularly suitable for track lighting retrofits and counter-top lighting while the other GU10 bulbs are suited to under the counter lighting and retail display lighting. The dimmable options and those that produce colored or multi light work well for accent lighting. Before purchasing the GU10 bulbs to replace other types of bulbs, the dimensions of the bulbs and those of the bulb fitting should be checked to ensure they match. If the bulbs are to be installed in the ceiling, the space for housing the bulb should have sufficient length for the bulb to fit. This is because the GU10 LED bulbs normally come in different lengths even though the bases measurements are always consistent at 50mm.